I was worried. I was going to have Baby #2. But how could I possibly love another child like my first? I had a two-year-old girl who had changed my life. I stopped working full time so I could stay home with her and take care of her. She got a lot of undivided attention! My parents moved close by from out of state to be near this red-haired baby. We mysteriously got more out-of-town visitors after we had a baby, too. My husband accepted a new job right around the time of her birth which brought in a better income and included insurance coverage for the family. Our whole world had changed. Now there was to be a boy. How was I going to love him as much as my girl? Would she feel left out when I had a newborn to take care of? Would she feel just as loved as before? Would I be able to split my motherly love between two? My second baby was so different from his sister. He was actually a much easier newborn. He slept through the night much sooner and was a happy baby. 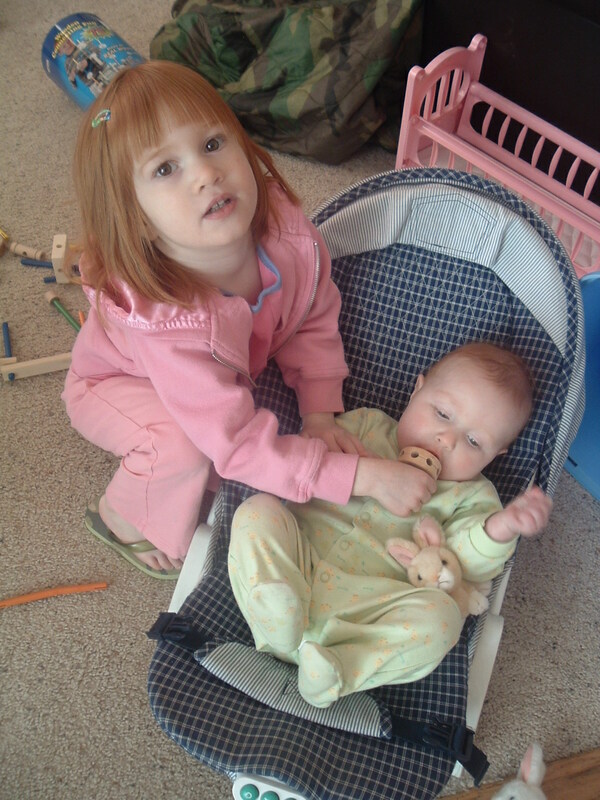 No wonder – he had lots of attention and help from his sister! He is a boy – and people have commented many times that he is ALL BOY! And our girl is quite the girly girl who likes best to wear glittery dresses and high-heeled shoes. She is artistic and creative and can always come up with ideas for what to do. She just loves to be with people. She uses great vocabulary words and can express herself very well. Our boy loves to dig in the sandbox and play with Legos and cars and trucks. Basically, he loves to be physical. Even now, I had to take a give-him-attention break to keep him from climbing all over me. But the most important thing to me? Our kids play well together. They love each other and they express it openly by saying so. My kids know that I love them. I make a point to be sure that they know that – with hugs and kisses, with spending one-on-one time with them, making healthy dinners, reading together, saying prayers together, and going on walks, etc. If my parenting skills fall short, I will apologize and remind them that I love them. Even though I know there’s room for improvement on my part, they should feel pretty secure about that! Of course, my anxiety was all for naught. For I found, that instead of needing to split my love between the two, God just made my heart grow bigger! Life is like a Ferris wheel going round and round, repeating itself over and over, sometimes you find yourself on the top looking out over your life. You think, ‘This is good; I could go on like this forever.’ But as soon as you get really comfortable with that thought, you feel yourself slowly slipping over the edge, descending toward some unknown yet familiar pit that consumes you until you feel the wheel slowly ascending to the top again. I read this passage with its beautiful imagery in Katie’s Choice, a novel by Tracey Langford. The character in her story thinks about the seasons of the year, like football and Thanksgiving and Easter and how these event staples in our lives reliably return year by year. I picture each “car” of the Ferris wheel carrying people who enter and sometimes exit our lives, but have still been a part of the ride or journey. And who we have, for better or worse, developed a relationship with. Sometimes those relationships also go through a similar pattern—up and down, seeing a promising future and then feeling like we can’t connect well. But there is one relationship that was always there. One that started before we were born. One we felt and treasured in our own limited way, even in the beginning: The one with our mother. This site is dedicated to that Mother Love, even when it takes a round-about journey to get there. I believe that a complete healing and wholeness can be found in any mother-child relationship, even if you thought it was too late. 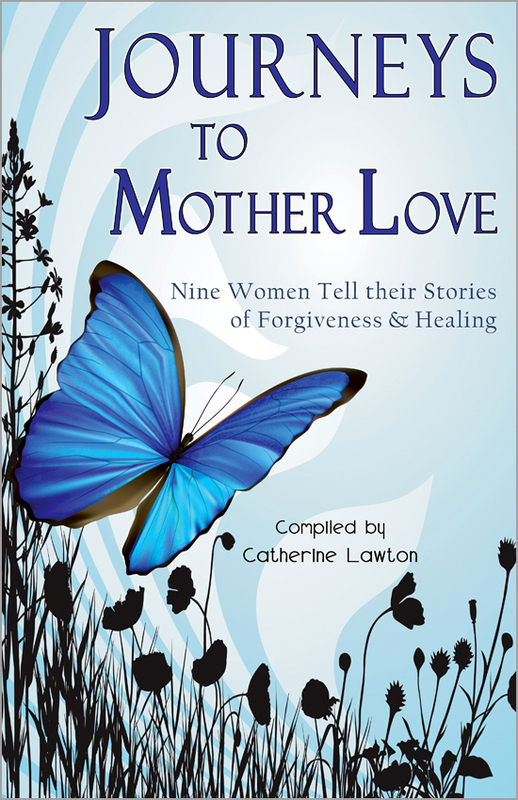 That is the premise of the collection of stories written by nine women in Journeys to Mother Love: Nine Women Tell their Stories of Forgiveness & Healing, compiled by Catherine Lawton and published by Cladach Publishing (www.cladach.com). No matter what your background, you will find yourself drawn to these stories and be able to relate to many of the feelings, experiences, and challenges these women have faced. And maybe, like them, you will find more healing and closure through God’s love, forgiveness and peace than you ever imagined! Do you have a wonderful relationship with your mom and/or your children today? We hope you do! And we would love to hear your story, too. You are not alone! This is a place to connect and to share. A place where you can find Christians who have gone through similar struggles … or are still going through them. Whether you are looking at life from the upside or the downside, God cares. And so do we.